In the Florida Legislature, legislation is on the move that would prohibit Florida drivers from operating a vehicle while using wireless communications devices. 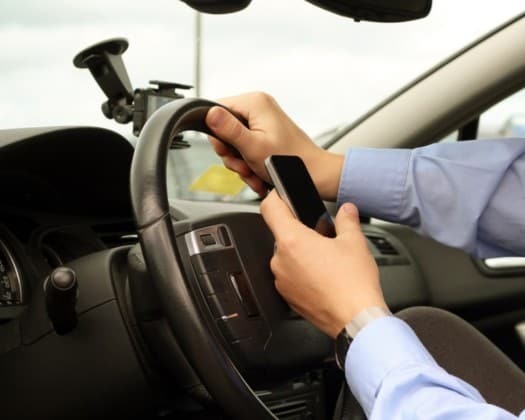 State Sen. Wilton Simpson, R-Trilby, and state Reps. Jackie Toldeo, R-Tampa, and Emily Slosberg, D-Boca Raton, are championing a proposal to prohibit Florida drivers from using a hand-held phone behind the wheel. If the proposal passes, Florida drivers would not be allowed to watch, record or broadcast photos or video while operating a moving vehicle. Florida drivers would not be allowed to touch a phone while operating a moving vehicle. However, using speaker phones would still be legal. Stopdistractions.org, a network of families who have been tragically impacted by distracted driving, is one of the groups behind the bill and insist it is needed. The group cites a National Safety Council study released in February which shows more than 40,000 Americans have died in car crashed each year over the past three years. The report finds that Florida is one of nine states that saw a 5.8 percent spike in fatalities.The reports also cites driver behavior as one of the main reasons the number of traffic fatalities remains high. The Florida Police Chiefs Association (FPCA) is also backing the proposal with President David Perry saying his members believe distracted driving is a crisis in Florida. “We all see it occurring on our roadways every day, and too many Floridians and visitors to our state are being injured or killed due to distracted driving,” said Perry. The FPCA says they have seen an increase in total crashes on Florida roads, especially among teen drivers and young adults. Stopdistractions.org insisted a similar law is working Georgia which enacted it last summer. In July 2018, Georgia passed a hands-free law. In just the first month, phone use while driving dropped 22 percent, said Stopdistractions.org executive director Jennifer Smith, noting in the first month under the law, distracted driving dropped more than 20 percent in Georgia. “On behalf of the families here today, we must encourage Florida lawmakers to pass a similar law that singles out this unacceptable behavior,” said Smith.